Few candy bars share Kit Kat’s convenient four-bar snap-off setup. But apparently that doesn’t mean that Nestlé, Kit Kat’s parent company, can corner the market on that particular candy bar form. 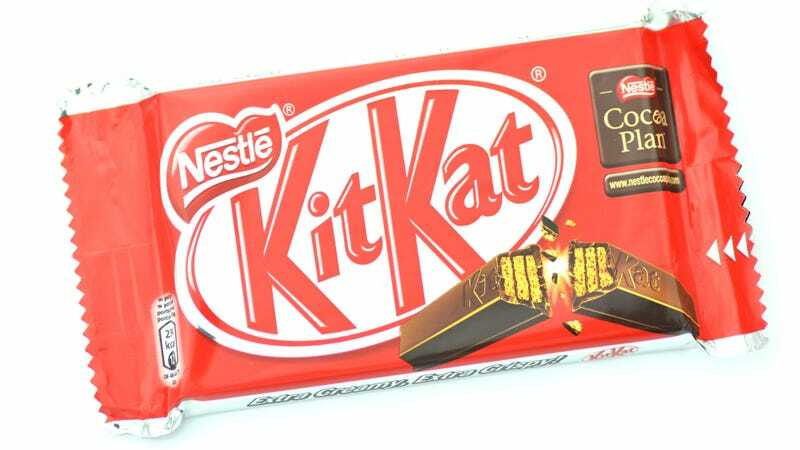 The BBC reports today that “The European Court Of Justice has thrown out an appeal by the chocolate bar’s maker, Nestlé, which argued that it owns the shape of the teatime treat.” Rival candy companies—like Cadbury, and Mondelez, maker of the four-fingered Leo bar—have argued against the trademarking of the Kit Kat form, for somewhat obvious reasons, and right now it looks like they’re in the lead. Turns out, Kit Kat’s “four finger” shape has much longer history than many of may have realized. There’s a similar product in Norway called the Kvikk Lunsj (pronounced “quick lunch”) that has been around for 80 years—a few years after the first reiteration of the Kit Kat (called Rowntree’s Chocolate Crisp) debuted in 1937. Nestlé first tried to trademark the “four trapezoidal bars aligned on a rectangular base” in 2002, leading to several rounds of legal back and forth since. This latest ruling puts the impetus on Kit Kat not only to prove “that a product has become iconic in ‘a significant part’ of the EU—it has to be proven across all the markets of the bloc, not just some.” Now the EU trademark office has to decide that the shape is distinctive across the EU—and if not, it’s back to the drawing board for Nestlé. There may still be hope for Kit Kat, though. After all, the BBC points out, Toblerone was able to trademark its triangular chocolate bar in 1998.